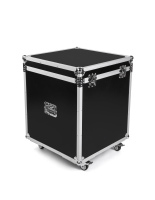 Easy to assemble, carry and store. Carpeted style for a comfortable yet stylish surface. 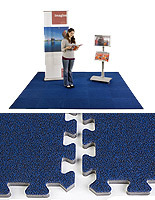 Forms a 10' x 10' seamless carpeted foam flooring to fit any trade show exhibit space. 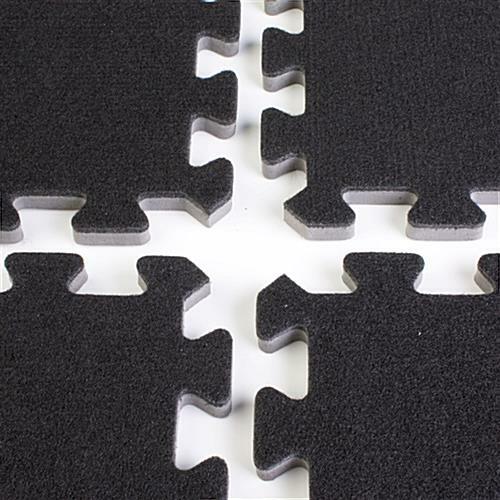 This interlocking mat is a non-slip and anti-fatigue carpeted foam flooring. This foam flooring, interlocking mat is constructed from high density EVA (Ethylene Vinyl Acetate) foam with top carpeted layer. 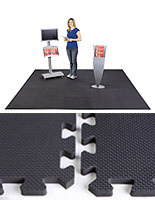 An interlocking mat, like a foam mat and other types of tradeshow flooring, creates a comfortable atmosphere for staff members and attendees to stand on. The black finish of this interlocking mat can easily complement any location. The foam mat can be easily cleaned to rid it of dirt or stains. 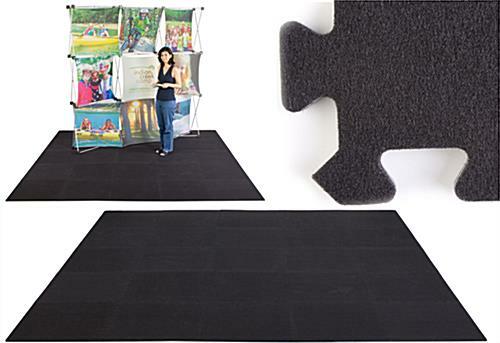 Use this interlocking mat in trade show booths, exhibition halls and show rooms. 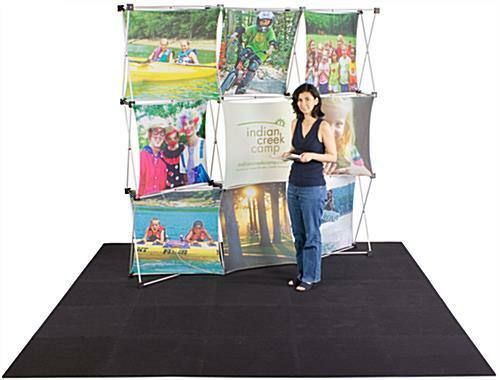 Provide a professional image to attendees with this interlocking mat. The lightweight construction of this interlocking mat also allows you to easily transport it from trade show to trade show. Interlocking mats can be set-up within minutes. Interlocking mat can be easily assembled and disassembled for easy storage without requiring any tools. We supply this interlocking mat in 3 different colors as well; charcoal grey, royal blue and navy blue. 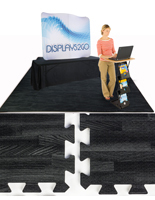 Add a distinctive touch to your trade show booth by using the interlocking floor mat. 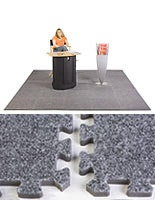 The interlocking foam carpet squares are the perfect fit for out trade booth. They put together very fast and are durable. You don't even notice the seams which is nice. That's so great to hear, Devery! Thanks so much for shopping with us. The tiles are all different shades of black, no uniformity. Product is NOT usable at all unless you are going for that look. We are very sorry that this product is not the quality that you had expected, Peter. A customer care representative will contact you promptly to address and resolve your issue.